Producing high quality native plant material is essential for successful native plant restoration projects. We collect seed from a diverse mix of locally adapted native plants from the various native plant communities throughout the Mattole Watershed and King Range National Conservation Area. These seeds are the base of all of the restoration projects we implement and are cared for and grown at our two native plant materials facilities: The Native Plant Nursery and our Native seed farm. To find out more about ordering plants or to view our current inventory visit our native plants page! The Council has been propagating native plants for restoration projects since 2006. 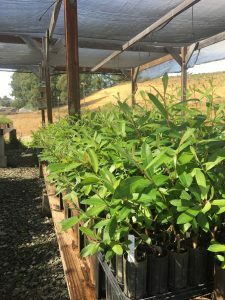 We currently operate a one acre native plant nursery where we grow a variety of native grasses, forbs, shrubs, conifers, and hardwood trees for restoration projects. The facility includes two propagation greenhouses, shade structures, a mist house for the propagation of cuttings, and a native plant demonstration garden. The facility operates on solar power and has a rainwater collection system that is used for irrigating our plants. We grow over 50 different species that are found in wetland, riparian, coastal prairie, and oak woodland ecosystems. We operate in a closed system where our re-vegetation efforts are supplied with native genetic seed stock suited to the planting site. 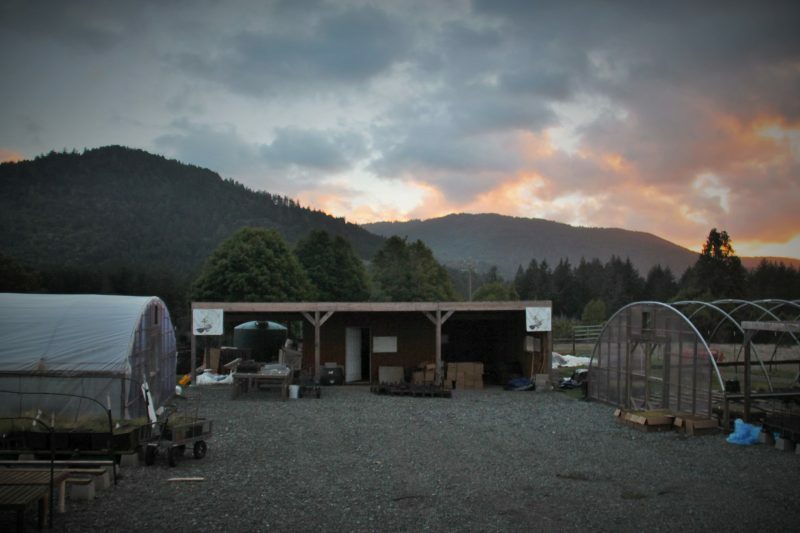 Growing our own plants from seed collected in the Mattole allows us to use a diverse palette suited to each site, it allows us to foster genetic diversity within species and grow rare and endemic species. We would not be able to accomplish our restoration goals without the native plant nursery. If you would like information on ordering native plants, click here. The MRC operates 1.5 acres of native seed farms in Petrolia for seed increases of native plant seed. At the farm we grow a variety of native grass seed for both restoration projects and public sales. If you are interested in purchasing native grass seed for your native landscaping or restoration project, please contact Hugh McGee at 707-629-3514 or hugh@mattole.org. We also offer native plant identification and mapping and seed collection services. If you are a landowner, contractor, agency or just interested in native plants and would like a quote for these services, please contact Hugh McGee at 707-629-3514 of hugh@mattole.org. The best way to learn about our projects and the native plant nursery is to come help out at a volunteer day. We host weekly volunteer days. Come for all or part of the day. Please bring a bagged lunch and water bottle. For more information, click here. Contact Monica at monica@mattole.org to see when our next event is. 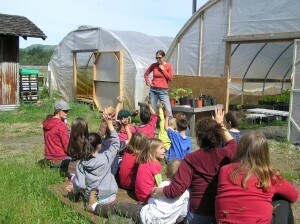 The Native Plant Nursery offers education to local elementary schools and the public on native plant propagation, seed collection, seed processing and plant nutrition. If your school or group would like to visit the nursery, or for more information about our native plant program, contact Monica Scholey at 707-629-3514 or monica@mattole.org. Our Native Plant Nursery Moved!! Our new facility opened in April, 2016. The nursery is now located on Chambers road just past the school. This facilities allows us to grow up to 200,000 native plants. We look forward to growing with you!